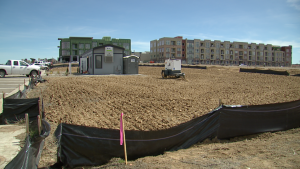 Littleton is featured in a recent online news report and article on Our CO: Trying to accommodate new development for Channel 7 News, TheDenverChannel.com. The article discusses the new permitting process in place to help residents and businesses navigate the growth and challenges of new development within the city of Littleton. Jennifer Henninger, Littleton’s Director of Community Development was featured and discusses the positive changes the city has made to accommodate the growth Littleton has seen over the past two years. To check out the full story go to TheDenverChannel.com. Littleton’s Main Street Shopping Gets Noticed! Colorado.com knows a good thing when they see it! Historic Downtown Littleton was on their list for Unique Outdoor shopping in Colorado. One trip to Main Street and Alamo and you will see streets adorned with boutique stores, art galleries, antique shops, restaurants and brewpubs. And let’s not forget the Townhall Arts Center if you want to take in the theatre for a night! 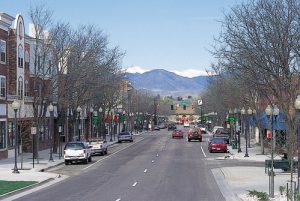 Besides the unique outdoor shopping, the historic main street district in Littleton is host to farmer’s markets, concerts, nightlife and the ever-popular annual Twilight Criterion sporting event and transforms for Christmas and other major holidays. Littleton’s Historic Downtown has resisted encroachment from bigger franchise stores making Littleton’s Main Street feel like the quintessential small town inside a big city. 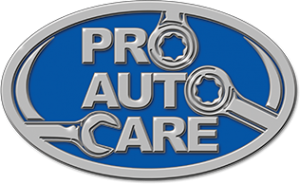 April is National Car Care Month and Pro Car Care is holding a FREE CLINIC at their Littleton Location on Saturday, April 27th. ‘Auto Care Basics’ is the topic and the information is great for teen drivers or anyone who has questions they are too afraid to ask a mechanic (we’ve all been there). Some topics covered in the clinic are: “What does the check engine light mean”, “What should I do if my car won’t start”, “Tires 101: What do I need to know”, and many more topics to help keep your car running smoothly and help you understand what to do if it doesn’t! PULS: Best car nickname wins free oil changes for a year! 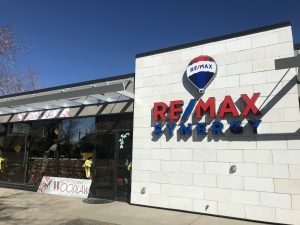 The Economic Development department for the City of Littleton awarded a ‘Revitalization Incentive Grant’ to the owners of the building that houses RE/MAX and Woodlawn Floral at 1700 W. Littleton Blvd to help fund updates to the building’s façade. The goal of the Revitalization Incentive Grant is to encourage private property investment and improvements, while making revitalization efforts affordable, creative and of benefit to the community. 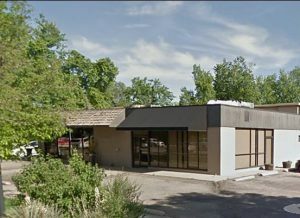 The program offers up to 50% in matching funds to business tenants and property owners within the City of Littleton proposing projects that improve the appearance of existing buildings. In 2018 the Littleton City Council approved $100,000 in funding for the 2019 Revitalization Incentive Grant to be administered by the Economic Development Department. For more information about the Revitalization Incentive Grant and details on how to apply for funding, please visit https://www.littletongov.org/business-resources/grants-incentives. 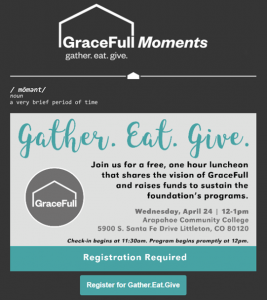 Littleton’s GraceFull Foundation, a non-profit which provides “a home in the Littleton community where people of all backgrounds can gather, eat well and be inspired to give back” and connected to GraceFull Community Cafe, is hosting a free, one hour luncheon that shares the vision of GraceFull and raises funds to sustain the foundation’s programs on Wednesday, April 24 at noon. For more information and to register, visit their event page. 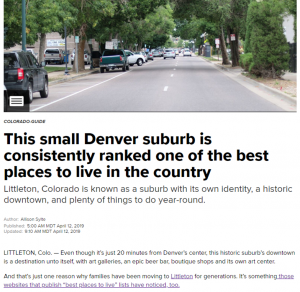 The city of Littleton was recently featured by 9NEWS as part of their weekly #9Neighborhoods series highlighting Littleton’s growing list of “best places to live” awards, along with a write-up of what makes Littleton a great place to live and shop, work. To read the rest of the article proceed to the 9news.com website. Envision Littleton is in Phase 3! We have 5 Phases this year and on Tuesday, March 12 we met with the Joint Leadership of City Council & Planning Commission to review the data books of existing conditions for the overall City and the transportation system of the City; this ends Phase 1 and Phase 2 and sets the foundation for how we approach planning for the next 10-20 years. The data books are available on the dedicated website EnvisionLittleton.org. The April 19 event will feature Darin Atteberry, City Manager, City of Fort Collins, CO. The event is FREE, but requires advance registration. Only a few seats remain so register today at: https://envision-series2.eventbrite.com. The recording of Speaker Series #1 held on February 27 with Chris Akers, Economist for the State Demographer’s Office is now available on the City’s YouTube Channel. Request a meeting or presentation by emailing Kathleen Osher. You can also keep track of events on the website EnvisionLittleton.org. Visit Open Littleton to test your knowledge of the City! The Comprehensive Plan update and new Transportation Master Plan will be aided by a process to define both existing and future Community Character. 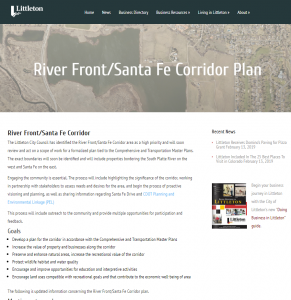 This is something brand new to Littleton and a unique offering of Kendig Keast Collaborative (KKC); it is the number one reason they were the right partner for us to update the comprehensive plan. Focusing on “community character” will enhance our approach to land use planning, neighborhood conservation, and open space preservation. Littleton currently has a large mix of character types based on KKC’s presentation on 3/12…we may win the prize of the MOST characters ever in one City. The study session presentation is online if you would like to learn more. Our next study session with City Council and Planning Commission will be on April 23.